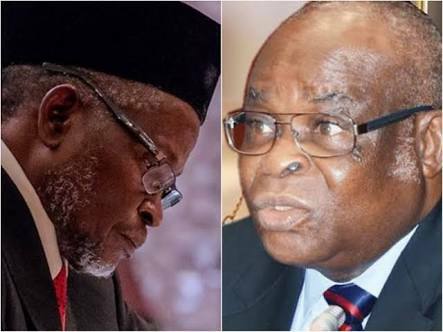 As we reported earlier, the National Judicial Council has given the suspended Chief Justice of Nigeria, Walter Onnoghen, and the acting CJN, Tanko Muhammad, seven working days to respond to petitions against them. 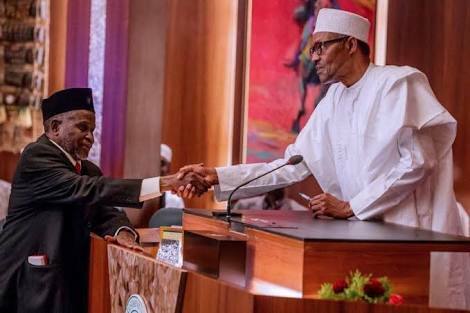 What is the way out for both Onnoghen and Tanko? The council gave the ultimatum at its emergency meeting held in Abuja on Tuesday. The two men did not attend the meeting. A former President of the Court of Appeal, Justice Umar Abdullahi, presided over the meeting as the interim chairman. President Muhammadu Buhari had suspended Onnoghen on Friday based on an ex parte order of the Code of Conduct Tribunal, which ordered him to step aside. The President swore in Tanko in his place in an acting capacity. The NJC also referred a petition against the CCT Chairman, Danladi Umar, to the Federal Judicial Service Commission. According to a press release by the NJC’s Director (Information), Soji Oye, the council took the decisions after considering four petitions filed at its secretariat. The statement explained that the petition against Onnoghen was by Zikhrillahi Ibrahim of the Resource Centre for Human Rights and Civil Education while two petitions against Tanko came from Centre for Justice and Peace Initiative, and Olisa Agbakoba (SAN). It added that the petition against Umar was authored by the Centre for Justice and Peace Initiative. The statement added, “Council referred the petition against Honurable Danladi Yakubu Umar to the Federal Judicial Service Commission, which is the appropriate constitutional body empowered to deal with it. “In line with its procedure, council also forwarded the petitions against Honourable Justices W.S.N. Onnoghen, (GCON) and I. T. Muhammad (CFR), to them for their responses. Sources say the NJC will be taking a strong decision on both men in the next two weeks, as they allowed themselves to play into the hands of politicians in the executive.